Editor’s note: The following is a review of a book about the way industry uses corrupt scientists to produce reports, or add their prestigious names to reports, denying health hazards from products produced by those very industries. For this, of course, these whores are paid substantial consulting fees — basically, to create or endorse junk science for their corporate clients. These same whores (one is reluctant to call them scientists) are further employed to discredit and suppress legitimate health research. Sound familiar? Readers of this website can readily identify a handful of these bums who do the bidding, and produce reports, for Big Wind. Physicists, noise engineers, acousticians, public health specialists, physicians — individuals who call themselves scientists but are no more than corporate shills. The book under review does not address wind energy by name, just by implication: “There are enormously powerful interests dedicated to bending science and creating doubt about the integrity of challenging research.” Do a Google search four “Wind Turbine Syndrome” and you will see what I mean. The following is an especially apt passage. The book details the systematic methodology that has emerged over the past few decades to undermine scientists and society’s faith in their work. Examples are given of scientists and physicians well paid to attach their names — and their impressive publication records and prestigious institutional affiliations — to industry-produced articles, editorials, and commentaries. The authors . . . examine examples of “expert panels” of industry-hired scientists paid to issue reports critiquing individuals who found dangers in the use of beryllium, the promotion of the antiobesity medication Fen-phen, and the production and sale of plastics, drug-eluding stents, asbestos products, and other materials. Casting doubt on findings that a product is potentially dangerous facilitates manipulation of OSHA, the EPA, the FDA, and other regulatory agencies, thereby prolonging the product’s use and sale. Many practices are reportedly used to undermine unwanted scientific information: “hiding science,” the practice of keeping unwanted results from public or regulatory view; attacking reliable research and proclaiming it “junk”; harassing scientists whose results undermine claims of safety or efficacy; and “packaging” of science via experts paid to promote a product. — David Rosner, review of “Bending Science: How Special Interests Corrupt Public Health Research,” by Thomas O. McGarity and Wendy E. Wagner (Harvard University Press 2008). Review published in the Journal of Clinical Investigation, vol. 119, no. 1 (January 2009) p. 4. Click here for PDF. Bending science is a fascinating and troubling investigation of the ways science is manipulated in the process of regulatory policy- and legal decision making. Thomas McGarity and Wendy Wagner, both University of Texas law professors, present an encyclopedia of endeavors, undertaken largely by industry, to distort scientific enterprise in order to promote self-interests. Like a number of recent books on this subject (1–5), this one presents a serious look at the mechanics of scientific manipulation and should be read by scientists, social scientists, legal scholars, and policy makers. It begins with an overview of the enormous sums of money at play that make science a high-stakes enterprise and place the very institution of science under attack: the profits of drug companies and how they affect the marketing of new drugs; the cost to manufacturers of industrial pollutant cleanup; and damages sought following occupational or consumer exposure to hazardous agents. As science is wrenched from the academy and plunged into the contentious worlds of politics, legal wrangling, and industrial decision making, the result is what the authors term “bent science”: knowledge with skewed objectivity and dubious accuracy, shaped by special interests. They doubt whether it is possible to protect the integrity of medical, environmental, and bench science from political and economic interests and call for more “adversarial procedures”: greater government, consumer, and legal oversight to protect scientists and to watch for undue influence over sponsored science. The book details the systematic methodology that has emerged over the past few decades to undermine scientists and society’s faith in their work. Examples are given of scientists and physicians well paid to attach their names — and their impressive publication records and prestigious institutional affiliations — to industry-produced articles, editorials, and commentaries. The authors identify instances where companies and entire industries have set up sham “research institutes” and purportedly scientific organizations to promote favorable opinions of their products. They examine examples of “expert panels” of industry-hired scientists paid to issue reports critiquing individuals who found dangers in the use of beryllium, the promotion of the antiobesity medication Fen-phen, and the production and sale of plastics, drug-eluding stents, asbestos products, and other materials. Casting doubt on findings that a product is potentially dangerous facilitates manipulation of OSHA, the EPA, the FDA, and other regulatory agencies, thereby prolonging the product’s use and sale. Many practices are reportedly used to undermine unwanted scientific information: “hiding science,” the practice of keeping unwanted results from public or regulatory view; attacking reliable research and proclaiming it “junk”; harassing scientists whose results undermine claims of safety or efficacy; and “packaging” of science via experts paid to promote a product. McGarity and Wagner make a good case that the distortion of science is systemic and not limited to a few industries behaving badly. Not unexpectedly, they detail the egregious activities of Big Tobacco, an industry that has become a poster child for amoral corporate behavior, and argue that these transgressions are merely representative of a much broader assault on science that has taken place since the end of World War II and has accelerated since the 1970s. One particularly disturbing aspect of attempts to bend science is the growing use of intimidation in the event that scientific research collides with industry self-interest. The case of Herbert Needleman, a pioneer in the discovery of the harmful effects of low-level lead exposure on young children, is particularly poignant. During the 1980s and early ’90s, he was accused by researchers supported by the lead industry and forced to defend his research before governmental and university panels. The decade of intensive investigation, public humiliation, and legal wrangling ended with his vindication and establishment of environmental health protections, but not without detriment to his research career and likely those of others. In the interest of transparency, I must acknowledge that Bending science hit close to home. In 2006, after the publication of Deceit and denial: the deadly politics of industrial pollution (5), my coauthor Gerald Markowitz and I found ourselves in the midst of a legal attack by the chemical industry to undermine conclusions reached in our book. Although, as in Needleman’s case, the experience ultimately did nothing to our standing in the academic community, it was searing and disruptive for many months. 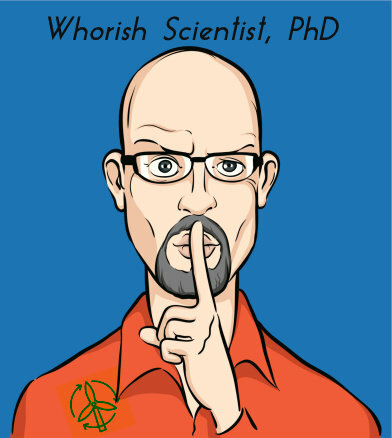 My experience certainly affected my reading of the book and predisposed me to accept its general message: that there are enormously powerful interests dedicated to bending science and creating doubt about the integrity of challenging research. 1. Krimsky, S. 2003. Science in the private interest: has the lure of profits corrupted biomedical research? Rowman and Littlefield Publishers Inc. Lanham, Maryland, USA. 264 pp. 2. Michaels, D. 2008. Doubt is their product: how industry’s assault on science threatens your health. Oxford University Press. New York, New York, USA. 384 pp. 3. Proctor, R. 1995. Cancer wars: how politics shapes what we know and don’t know about cancer. Basic Books. New York, New York, USA. 368 pp. 4. Davis, D. 2007. The secret history of the war on cancer. Basic Books. New York, New York, USA. 528 pp. 5. Markowitz, G., and Rosner, D. 2002. Deceit and denial: the deadly politics of industrial pollution. University of California Press. Berkeley, California, USA. 464 pp.